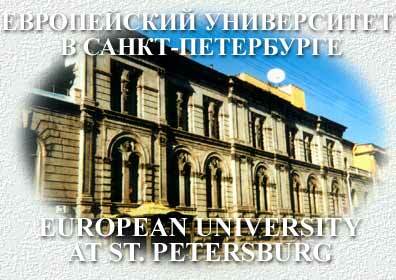 The EUSP announces post-doctoral positions in Arctic Social Studies. Here is an excellent job opportunity for recent post doc scholars in a fascinating research environment with really nice people in the team in a wonderful city. Many of our anthropology team had the honour of giving lectures and attending seminars organised by Nikolay Vakhtin and his team, and these were among the most pleasant and fruitful we had. The original announcement is here below: Go ahead and apply! Not more than 36 months between the date of awarding of the degree (Ph.D. or kandidat) and the date of the application to the position. Winners of the post-doc position will sign a four-year contract with the EUSP as post-doctoral researchers. The starting date of the contract is September 1st, 2014. The contract can be terminated by the EUSP if the post-doctoral researcher violates its terms. Throughout the term of the contract post-doctoral researchers are expected to live in St. Petersburg, except for periods of fieldwork and visits home. During the first year, post-doctoral researcher must complete and submit to the publisher a book based on their Ph.D. (kandidat) dissertation. It is preferable, although not compulsory, that the manuscript is submitted in English, to a leading international publisher. Throughout the first year of the contract the post-doctoral researcher has the right to decline any other work at EUSP. take part in the research projects of the Arctic Studies Program; the project can be joint or individual; the topic of the project must be coordinated with the head of the Program. if need arises, supervise MA dissertations of EUSP students in Arctic social studies. In case the post-doctoral researcher wins an external grant for research project, the salary, fieldwork funds etc. of the grant are paid on top of the amount of the present contract. This entry was posted in All, Announcements, Russian North and tagged Arctic Social Sciences, European University, job announcement, St Petersburg. Bookmark the permalink.